This winter I’ve been reconnecting with my Nordic heritage reading through The Nordic Cookbook. My grandmother and her clan of fiery red-headed Norwegians left behind most of their food traditions and assimilated quickly to this country long before I was born. As a child, I remember that my grandmother’s holiday baking was always extravagant, and only now I’m learning that it was part of the Nordic tradition, and creating a large supply of Nordic Christmas Cookies for the table helped represent abundance. Beyond the Chrismas cookies, there wasn’t much nordic living in my upbringing, and I feel like I have a lot of catching up to do. I found some really exotic wild foraged Nordic recipes, like this one for traditional pine bark bread, which has kept things interesting in my kitchen of late. The recipe listed is conveniently for a one-quart batch, which is perfect to make in a quart mason jar with a silicone water lock. While the original recipe listed called for just the juice and zest of one lemon, I sliced the lemon thin and put the whole thing into the fermenter. I also chose to use all honey, going back to the drink’s old school roots in mead. 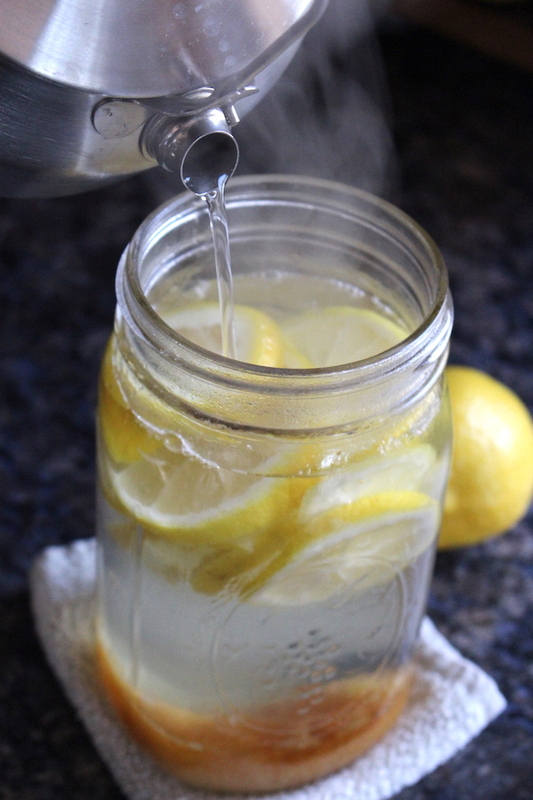 I added the lemon and honey to a quart mason jar, and then poured boiling water over everything to dissolve the honey and help extract the flavor from the lemons. The raisins actually act like a little biological turkey timer, popping up when sufficient CO2 is present in the fermented lemonade to create a pleasant level of fizz (but not too much alcohol). Most meads are fermented for several months at least, if not longer, but this quick ferment only goes for a week. 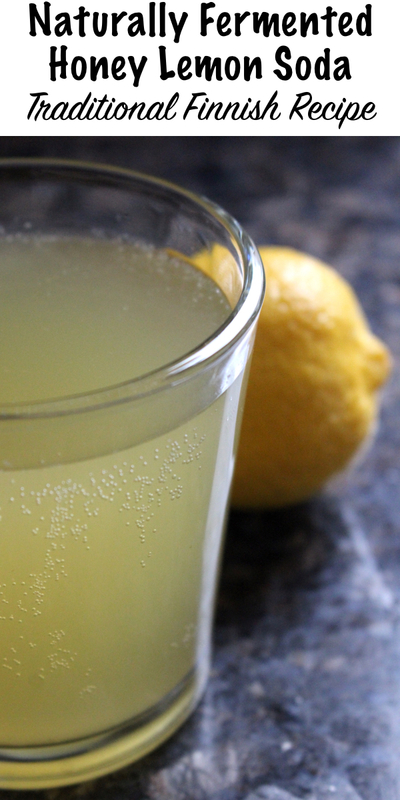 The goal is carbonation, not alcohol, and the resulting fizzy lemon drink was consumed by everyone, including young children. The raisins float when the drink is fully carbonated. I read one estimate that the finished beverage has around 0.05 to 0.15% alcohol or similar levels to Kombucha. How true that is I couldn’t say, but you definitely don’t taste the tiny bit of alcohol in sima. It’s quite sweet, with a bit of fizziness that’s really pleasant. 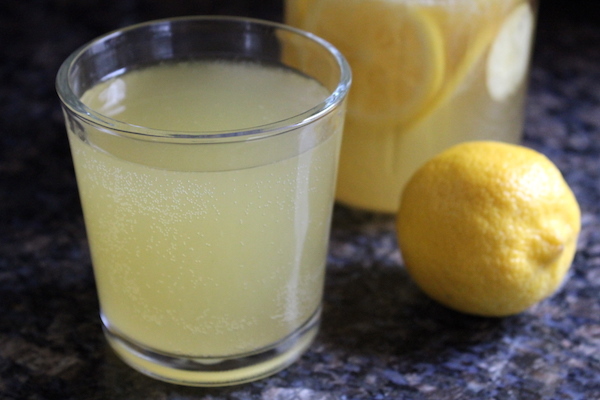 The flavor is a bit different than a standard lemonade, but I think that’s because of the addition of lemon zest or peel into the batch. It tastes much more lemon-y than any lemonade I’ve ever tasted, and you can smell it well before you taste it. It’s the lemon oil from the peel and it has an intense lemon scent that comes through as a flavor too. Generally, I stress the importance of using brewing yeast for any type of ferment, as opposed to standard bread baking yeast. In a long ferment, the yeast actually contributes quite a bit of flavor to the final brew. Cider yeast strains will bring out the best in apples, and there are specific yeast strains for just about every type of beer. This drink is fermenting for such a short time that it really doesn’t matter. Use a pinch of wine yeast if you have it, but otherwise, just any dried yeast will do. I happened to be right in the middle of brewing several batches of wine, and I already had pitched yeast into parsnip wine and lemon wine. I saved a small amount of my go-to wine yeast (premier blanc) for this ferment. Allow the mixture to ferment at room temperature for about 24 hours until the raisins puff up and begin to float. Mine only took about 18 hours to float to the top, but I pitched it pretty aggressively with wine yeast since I had plenty left over. Either way, once the rains float, filter out the lemons and raisins and bottle the drink in either flip top Grolsch bottles or another mason jar. Seal up the lid tightly and store it in the fridge for another 2-4 days until it’s fully carbonated. 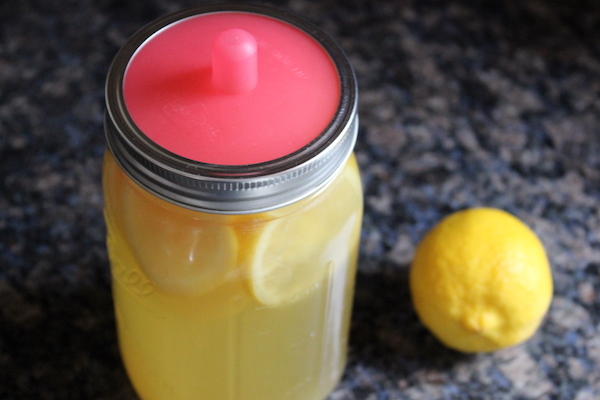 The tight lid will trap the bubbles and allow for a carbonated lemonade, but you can’t leave it too long. Be sure to drink it within 7 days for best results. 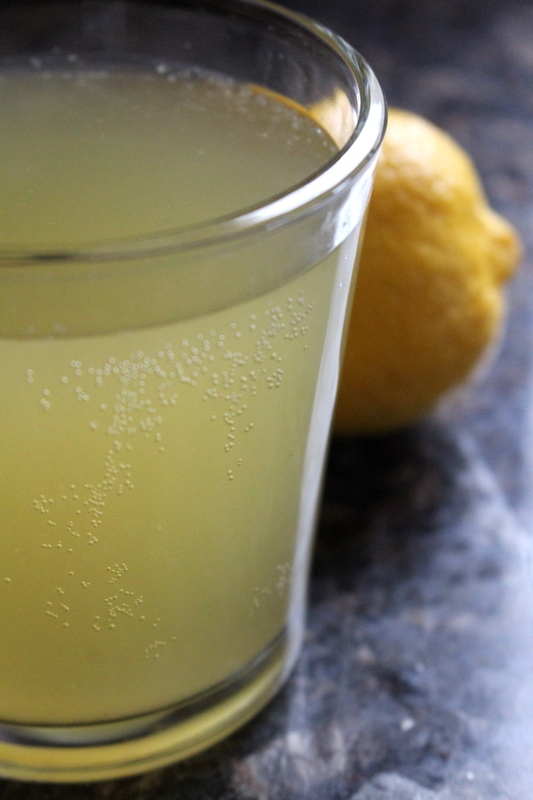 This light bubbly naturally carbonated lemonade is traditionally consumed for Finnish new year. 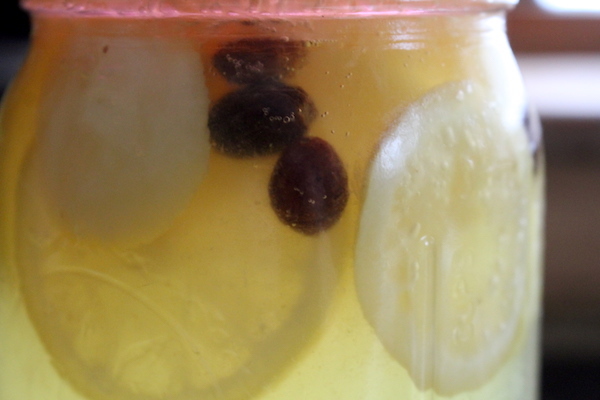 Place the sugar, raisins and lemon slices (or juice and zest) in a quart mason jar. Pour near boiling water over the top to fill the jar to within 1 inch of the top. Stir to dissolve the sugar or honey. Allow the mixture to cool to room temperature and then add a pinch of yeast. Stir to incorporate. 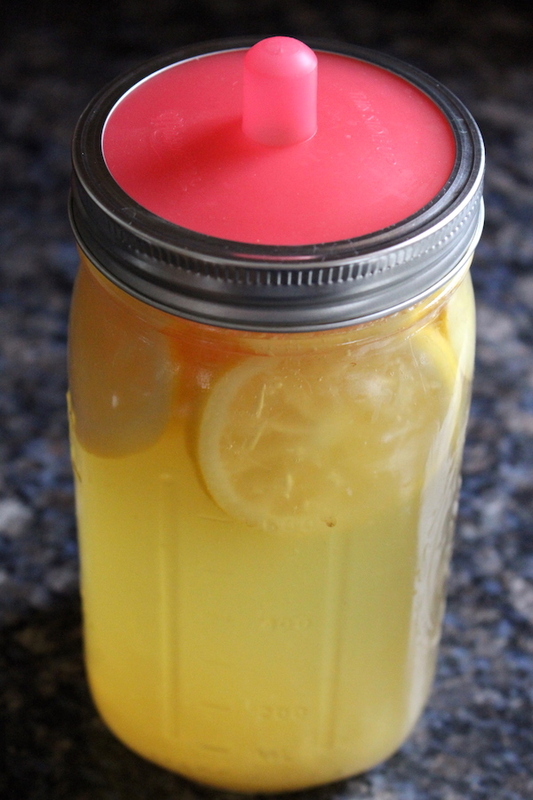 Seal the jar with a mason jar air lock (or cover loosely with a cloth if you don't have an air lock). Allow the mixture to ferment at room temperature for 24 to 48 hours, until the raisins float to the top. Once the raisins float, pour the sima through a fine mesh strainer and bottle in flip top grolsch bottles or another mason jar. Seal the lids tightly and store in the refrigerator. Allow the drink to age in the refrigerator sealed for 2-4 days to accumulate carbonation. Open it when you're ready to consume, but be sure to drink within 7 days for best results.